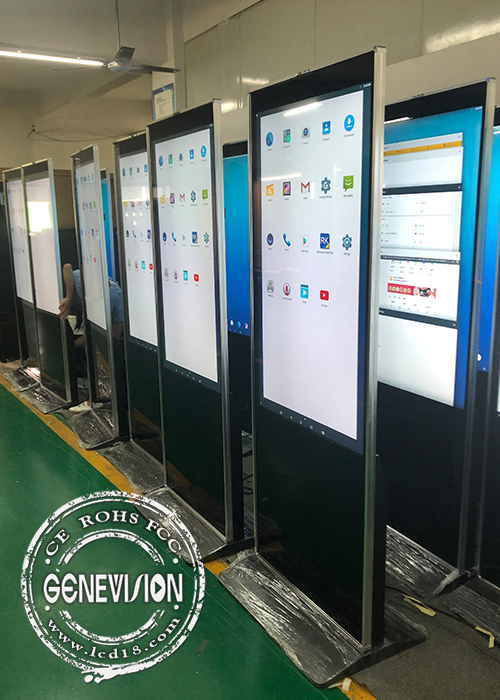 This 49inch IR touch screen kiosk with newly-designed narrow bezel touch frame with width of 1cm, also can be with camera inbuilt, OEM with buyer's logo also accepted. Operation system can be Android 5.1 or Android 7.1, wifi can be dual band including 2.4G and 5.8G. Panel can be LG original panel in 350nits or 450nits, different brightness has different price. 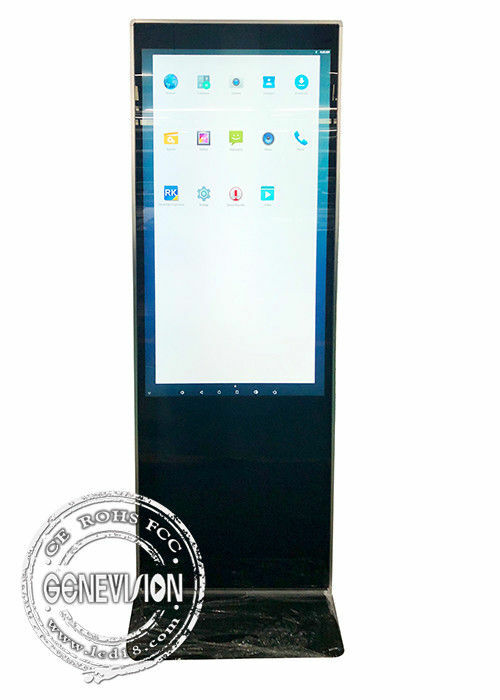 With our remote control software, hundreds kiosks' advertising can be updated via internet. 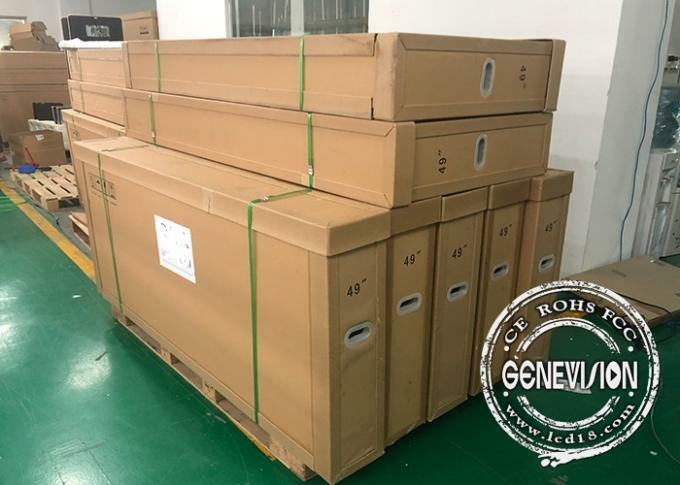 Packing: standard is carton reinforced by wooden box of LCL, if for container order, we prefer to pack in honeycomb carton for each kiosk, base can be put inside, very strong and safe for shipping.